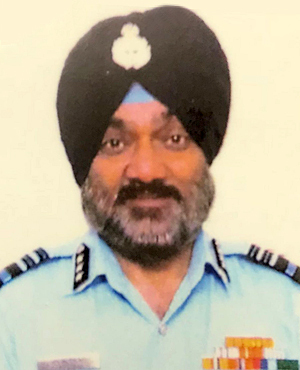 Air Marshal RKS Shera AVSM VSM took over as Air Officer-in-Charge Maintenance of Indian Air Force today. He was commissioned in the Aeronautical Engineering Electronics Branch of Indian Air Force on 05 Jan 1981. He is a post graduate from IIT Kanpur in Electrical Engineering. He has been trained in Russia on MIG-29 aircraft at the time of fleet induction in 1986. He is an alumnus of prestigious National Defence College (NDC). 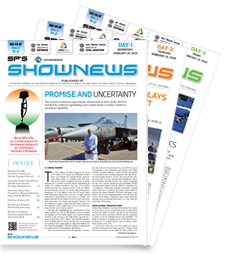 The Air Officer is a Fellow of Institute of Engineers, Institute of Electronics and Telecommunication and Aeronautical Society of India, besides being member of Computer Society of India. The Air Officer was Senior Maintenance Staff Officer at HQ Maintenance Command before taking over as Air Officer-in-Charge Maintenance at Air HQ. 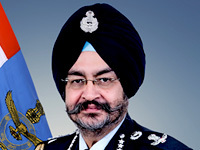 During his career of 37 years, the officer has held several important command and staff assignments that include Assistant Chief of Air Staff (Engg A), SMSO HQ WAC, Station Commander TETTRA School, Director MiG-29 Weapon Cell at Air HQ, Chief of Aircraft Production at Base Repair Depot, Inspector in Directorate of Air Staff Inspection (DASI), Chief Engineering Officer of a Fighter Base and Instructor at Technical Training School, Botswana (Africa). He has rich experience in the field of maintenance of aircraft from 'O' to 'D' Level. For his distinguished service, the Air Officer was awarded "Ati Vishisht Seva Medal" in 2014 and "Vishisht Seva Medal" in 1993 by the President of India. He is married to Mrs Jaspreet Shera and they are blessed with son Harman Shera, who is Post Graduate in Information Systems.